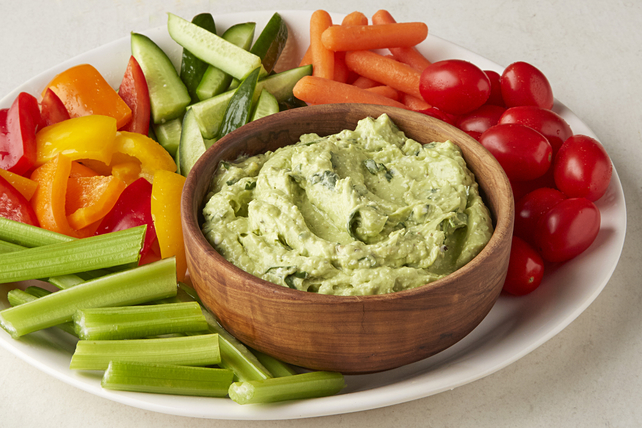 Set the mood for a lively social gathering with our Avocado Dip. Low fat cottage cheese is the secret to the creamy goodness of this Avocado Dip. Process all ingredients except cilantro in food processor until smooth; spoon into medium bowl. Serve with cut-up fresh vegetables and/or crackers.